Ajax has once again proven its status as the most awarded security system in Europe. This time we found ourselves on the list of Expoprotection Awards 2018 winners, where the jury honored our innovative system with the silver medal for Security & Firefighting Risks. Seventy-eight contenders showed off their security equipment, drones, software solutions and protection equipment with only four winners, only one of which was a security system. Tres bien! We are thankful to all our partners and users who encourage us to always keep moving forward. This is excellent news for us as we roll out Ajax on the French market. The region is holding a large industry event just this October. 755 companies from all over the world will come with their top security products for Expoprotection 2018. Of course, Ajax will be there too. 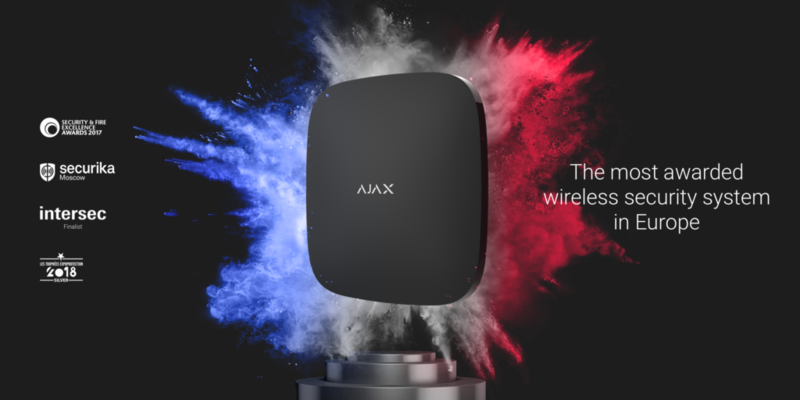 Ajax is the most awarded wireless security system in Europe. It won “Intruder Alarm of the Year” at Security & Fire Excellence Awards, “The Best Innovative Product” award at Securika Moscow, silver at Expoprotection Awards, and became the finalist at Intersec.